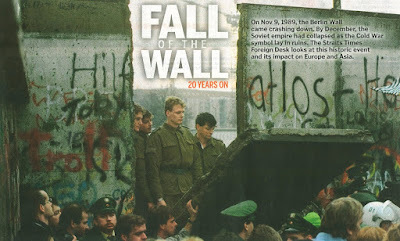 On Nov 9, 1989, the Berlin Wall came tumbling down and it was partly the result of a clerical blunder. Read on to find out how. In May 1945, the Red Army captured Berlin and the city is divided into a Soviet sector in the east and US, British and French sectors in the west. By 1950, the East-West economic gap widened with the East experiencing scarcity in food and housing as more and more people flee westwards. 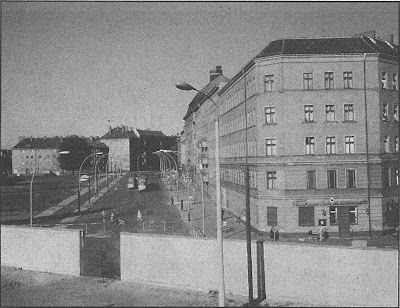 Then at 2am on August 13, 1961 a barbed-wire barrier was strung between East and West Berlin. 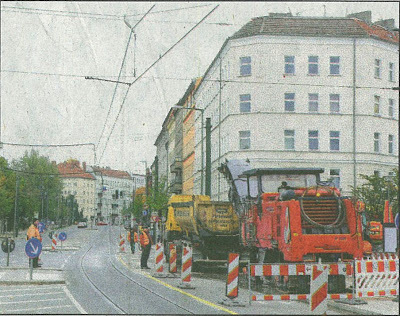 Within days, workers began erecting a wall of concrete blocks and Brandenburg Gate is shut. The Berlin Wall became a symbol of the Cold War and was meant to prevent its people from fleeing as East Germany tried to get its people to embrace Communism. 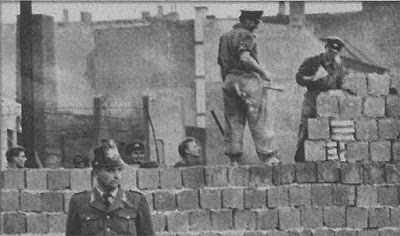 The Berlin Wall measured about 150km and was rebuilt at least three times - each time emerging bigger and stronger. In June 1962, a second, parallel barrier some 100m farther into East Germany territory was built. The houses in between were razed, leaving a no man's land known as The Death Strip. It made it easier for guards to shoot on sight any would-be escapees. Click on the graphic below to enlarge and get a better view of The Death Strip with its mines and other obstacles. Despite the deadly obstacles, nearly 10,000 East Germans tried escaping with nearly half making it over to the West. One drove a APC (Armored Personnel Carrier) belonging to the East Germans and crashed it into the wall before scrambling over to safety. Two men used an archery bow and shot a cable over the wall onto the roof on the western side and sailed across with pulleys. Two men windsurfed and two families escaped in a giant balloon they had built secretly. 70 escape tunnels were dug. 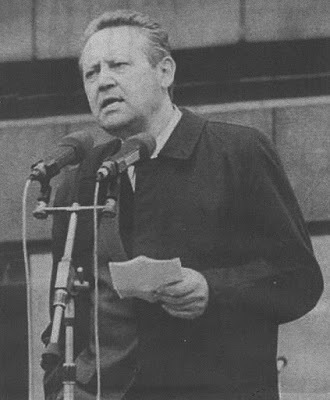 On Nov 9, 1989 East Germany's rulers decided to make it easier for some of its citizens to leave directly for the West as a rising tide of demonstrations within East Germany threatened it. At the same time, the neighbouring communist countries like Hungary and Poland began relaxing political controls and border restrictions. 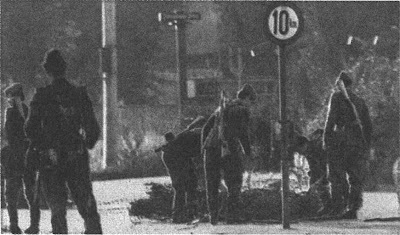 East Germany had hoped to rid itself of the most troublesome dissidents and the easing of travel restrictions was meant to be a short-time exception. But the hapless East German official dispatched to announce this decision did not read his briefing papers and when asked by a journalist whether this meant that anyone could cross the wall, he mumbled, "Yes, immediately, without delay." Instantly, vast crowds converged on the wall, determined to exercise their supposed right to travel to the West. Confused border guards frantically appealed to their superiors for instructions on what they should do, but no orders ever came. So within hours, the wall was simply trampled underfoot. 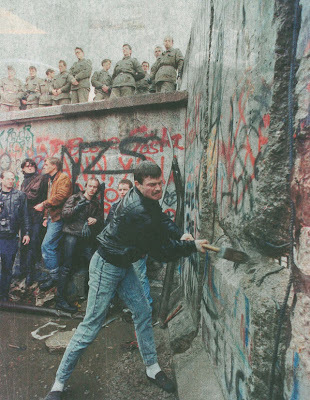 Picture below shows a demonstrator pounding away at the Berlin Wall as East German border guards looked on from above. 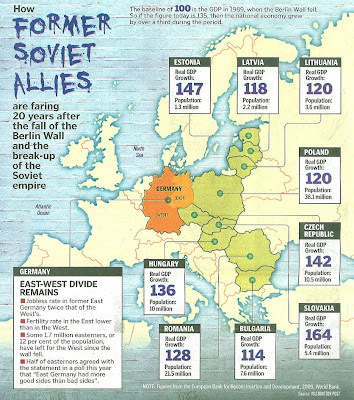 When the Wall came crashing down, so did the Soviet Empire as the Cold War symbol lay in ruins and European communism proved to be a total failure. 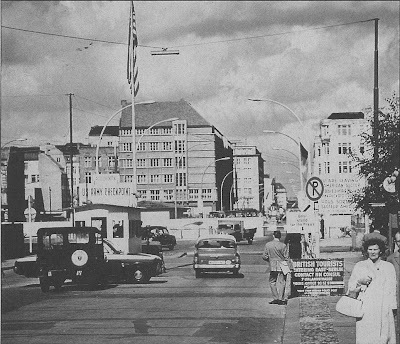 Berlin's Bernauer Strasse with the Berlin Wall separating the street in June 1968. The ground floor of the building on the right was boarded up after it was used for several escapes to the West. 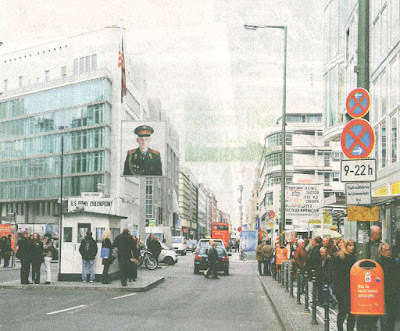 The Checkpoint Charlie crossing point in June 1968, then marking the border between East Berlin (the Soviet sector) and West Berlin (the American sector). Same view 41 years on in October 2009. Now a tourist magnet, like many of the remaining Berlin Wall sites. Conrad Schumann was one of the most famous defectors from East Germany. On August 15, 1961, the then 19-year-old East German soldier leapt over the barbed-wire barricade while guarding the Berlin Wall, then in its third day of construction. It became one of the iconic images of the Cold War. Sadly, Schumann hanged himself on June 20, 1998 whilst suffering from depression. 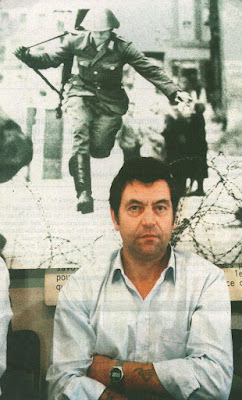 Picture shows Schumann in a photo taken in 1986. As a highlight of a $5 million euro celebration marking the 20th anniversary of the fall of the Berlin Wall on November 9, a 1.5km long segment of the wall will stand for two days along its original route in front of the Brandenburg Gate to Potsdamer Platz. 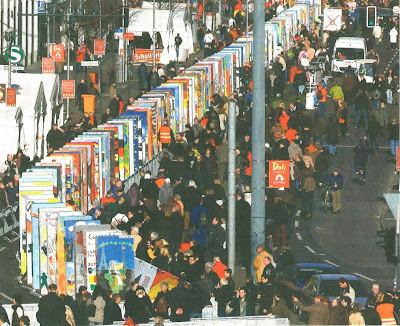 The row of 1,000 20kg dominos standing 1.5m apart - painted in bright colours by schoolchildren and rising 2.5m high - will be toppled at the end of a gala ceremony as a symbolic tribute to the collapse of the wall 20 years earlier. It's only when we loose "Freedom" that we realized it's value. Nice map... It may be true in figures, but being from the Baltic region myself, I can honestly say that leaving Soviets hasn't done any good-- as our governments have ruined all the agriculture and factories (20 years have been enough for that), as the crisis approached, we are facing greatest economic downturn ever; hundreds of thousands youths flee the region as there are no working places any more, state budgets are in deep deficit. God, what was the purpose of independence, if our states can't handle it? Sorry to hear about your dire circumstances :( hope things get better where you are.